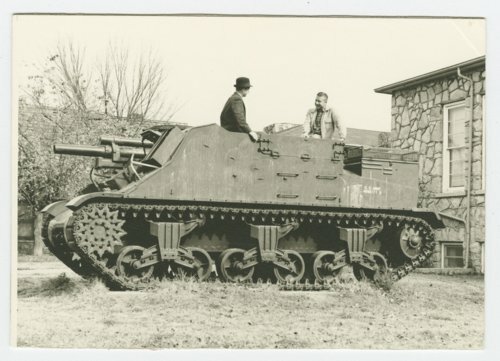 This photograph shows a military tank donated by the American Legion in Perry, Kansas. The American Legion building is visible to the right. Bert Seyler (right ) and an unidentified man are on the tank.